A Federal High Court, Lagos, on Friday discharged and acquitted former Gov. Rasheed Ladoja of Oyo State of corruption charges. The News Agency of Nigeria reports that the ruling was given by Justice Mohammed Idris. 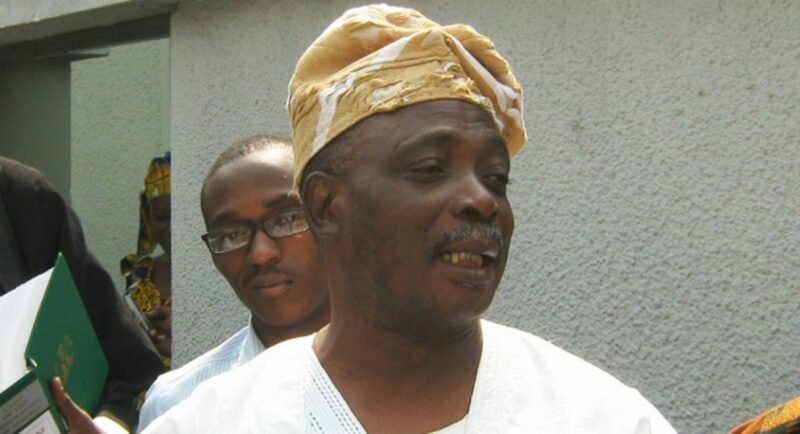 Ladoja faced N4.7 billion fraud charge preferred against him by the Economic and Financial Crimes Commission. Chief Olu Falae, a former federal government secretary and presidential candidate of the Alliance for Democracy in 1999, said he has quit politics. This announcement is coming after hours after the National Executive Committee of the party, Social Democratic Party endorsed President Buhari for next week’s election. He is the founder of the party. The former governor of Cross River State, Donald Duke, has said that he remains the presidential candidate of the Social Democratic Party (SDP) and would present himself for the February 16 polls. Duke said this in a statement on Friday in Lagos, while reacting to the decision of the National Executive Committee (NEC) of the party to withdraw from the election and adopt President Buhari as its preferred candidate. The presidential candidate of the Peoples Democratic Party (PDP) Atiku Abubakar raised an alarm over an alleged plot to arrest some of his key associates in the run-up to the election. In a statement issued in Abuja on Friday by Atiku’s Special Assistant on Public Communication, Mr. Phrank Shaibu, the PDP presidential candidate said his close political associates were being targeted for arrest by APC-led Federal Government, which is hell bent on derailing the electoral process. The United States has asked the Independent National Electoral Commission (INEC) to resist external “pressure and intimidation” in the upcoming general elections scheduled for February 16 and March 2. The United States’ Secretary of State, Michael Pompeo, in a press statement, said that the upcoming elections in Nigeria would be an opportunity for the country to solidify its democratic leadership in Africa.